Abstract. 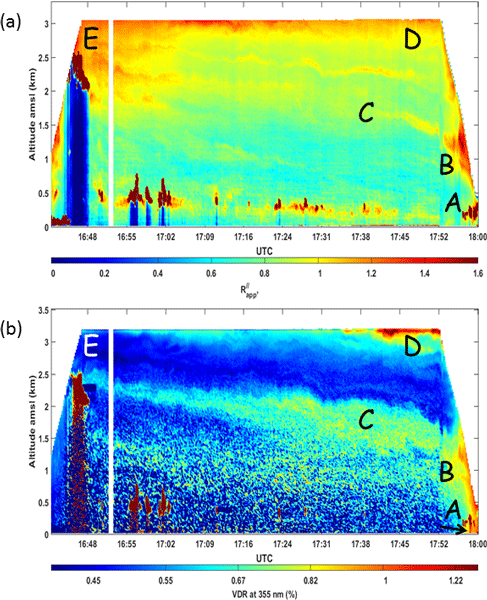 The complex vertical distribution of aerosols over coastal southern West Africa (SWA) is investigated using airborne observations and numerical simulations. Observations were gathered on 2 July 2016 offshore of Ghana and Togo, during the field phase of the Dynamics-Aerosol-Chemistry-Cloud Interactions in West Africa project. This was the only flight conducted over the ocean during which a downward-looking lidar was operational. The aerosol loading in the lower troposphere includes emissions from coastal cities (Accra, Lomé, Cotonou, and Lagos) as well as biomass burning aerosol and dust associated with long-range transport from central Africa and the Sahara, respectively. Our results indicate that the aerosol distribution on this day is impacted by subsidence associated with zonal and meridional regional-scale overturning circulations associated with the land–sea surface temperature contrast and orography over Ghana and Togo, as typically observed on hot, cloud-free summer days such as 2 July 2016. Furthermore, we show that the zonal circulation evidenced on 2 July is a persistent feature over the Gulf of Guinea during July 2016. Numerical tracer release experiments highlight the dominance of aged emissions from Accra on the observed pollution plume loadings over the ocean, in the area of aircraft operation. 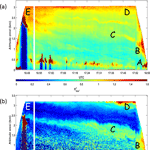 The contribution of aged emission from Lomé and Cotonou is also evident above the marine boundary layer. Given the general direction of the monsoon flow, the tracer experiments indicate no contribution from Lagos emissions to the atmospheric composition of the area west of Cotonou, where our airborne observations were gathered. The tracer plume does not extend very far south over the ocean (i.e. less than 100km from Accra), mostly because emissions are transported northeastward near the surface over land and westward above the marine atmospheric boundary layer. The latter is possible due to interactions between the monsoon flow, complex terrain, and land–sea breeze systems, which support the vertical mixing of the urban pollution. This work sheds light on the complex – and to date undocumented – mechanisms by which coastal shallow circulations can distribute atmospheric pollutants over the densely populated SWA region. How to cite: Flamant, C., Deroubaix, A., Chazette, P., Brito, J., Gaetani, M., Knippertz, P., Fink, A. H., de Coetlogon, G., Menut, L., Colomb, A., Denjean, C., Meynadier, R., Rosenberg, P., Dupuy, R., Dominutti, P., Duplissy, J., Bourrianne, T., Schwarzenboeck, A., Ramonet, M., and Totems, J.: Aerosol distribution in the northern Gulf of Guinea: local anthropogenic sources, long-range transport, and the role of coastal shallow circulations, Atmos. Chem. Phys., 18, 12363-12389, https://doi.org/10.5194/acp-18-12363-2018, 2018.